It was his determination that brought Marvin Langeland to Kalamazoo, a town where he knew no one, to start a funeral home in 1934. It was his compassion that turned it into a success. Marvin had been working with his brother, Fred, at a funeral home in Zeeland when he set out to establish his own funeral home. With the encouragement of a local minister and a $500 loan from a friend he put down roots in Kalamazoo. The first year he had 34 funerals, a number that has increased steadily since. Marvin’s first funeral home in Kalamazoo opened November 19, 1934 at 139 E. Lovell, a former doctor’s office that is currently the site of a parking ramp behind the former Jacobson’s store. He moved to the present location of the Memorial Chapel, 622 S. Burdick Street, in 1937. He was a member of the Grace Christian Reformed Church and served there as an elder and was frequently asked to serve on synodical committees for the Christian Reformed Church. He was the father of two children, Kenneth who succeeded him in the formed business and Marilyn Van Gunst. His wife, Henrietta, passed away on April 19, 2008 at the age of 97. When Marvin Langeland met success in the funeral business in Kalamazoo, he asked his brother Dennis to join him. Dennis, like Marvin had been raised in a small rural village outside of Holland Michigan, where their father owned a general store that sold shoes, boots, furniture, and caskets. He was also the village undertaker. 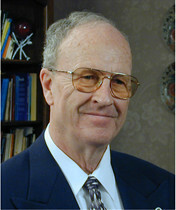 Dennis was a graduate of Calvin College and attended Western Michigan University. He taught school and was a salesman/driver for Baxter laundry in Grand Rapids before joining Marvin in the funeral business in 1942. He earned his Funeral Directors License and became a partner in the business and later became President of the firm. Dennis was a member of the First Protestant Reformed Church of Kalamazoo and served on the consistory there as an elder and as council clerk. He also served on the Board of the Kalamazoo Christian High School. In 1984 he was honored as a 40 year licensee with the Michigan Funeral Directors Association.Dennis’s wife, Laurine, passed away in 1996 and they are survived by a daughter, Virginia Spitters; and sons. Harold who retired from his work at Langelands in 1993 and Norman who is President of the firm today. 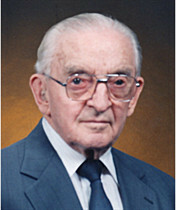 Fred Langeland owned a funeral home in Zeeland, Michigan before coming to Kalamazoo to join his brother Marvin. Fred was here only a short time when he underwent surgery. Although the surgery was successful, complications set in, and Fred passed away at the age of 37. He was a member of the Third Christian Reformed Church of Kalamazoo. His wife Della remained in Kalamazoo, where she raised their 4 children. She passed away in 2005 at the age of 101. 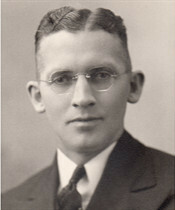 Kenneth followed in his father Marvin’s footsteps and became a Licensed Funeral Direction in 1960. Under his leadership, the firm expanded with the acquisition of our Comstock and Galesburg Chapels. Ken was a member of the Third Christian Reformed Church of Kalamazoo. He loved singing with the Singing Crusaders Men’s Chorus and served as their business manager. He and his wife Joyce enjoyed traveling and playing golf. Joyce continues to live in Kalamazoo and Arizona. Their daughter Lori moved with her family to New Jersey and their son Tod lives in Kalamazoo and continues to work in the family business. Graduate of Kalamazoo Christian High School, attended Western Michigan University, graduated from Wayne State College of Mortuary Science. Served with the U.S. Army of Occupation in Germany during the Korean Conflict. Member of VFW #6252 and Jos. B. Westnedge Post #36 of the American Legion; Member, Michigan Funeral Directors Association; Member, Third Reformed Church. Harold enjoys funeral home planning and design, as well as residential plan drafting. He has been active in Faith in Action Mission Trips. 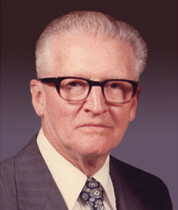 Harold is the father of Howard Langeland, Daniel Langeland, Rosemary Chilvere and Brenda Robert; three stepsons, John, James and Thomas Bennett. Harold was widowed in 1999. In May of 2003, he married the former Rose Marie LaFountain (Stanislav). They reside in Cooper Twp. and enjoy traveling in their motor home. Graduate of Kalamazoo Christian High School, did pre-mortuary science study at Western Michigan University, graduated from Wisconsin Institute of Mortuary Science in 1960. Member of the Academy of Professional Funeral Service Practice, Michigan Funeral Directors Association. Past-President of Kalamazoo Sertoma Club, Member of Heritage Christian Reformed Church. Married to the former Bonnie Ewing, son Greg Langeland and daughter Lisa Langeland Allen are both active in the operation of the family funeral homes. Graduate of Kalamazoo Christian High School and Worsham College of Mortuary Science. Greg is also a Member of Michigan Funeral Directors Association. Greg lives in Portage with his wife, Teresa, and their four children, Tyler, Haley, Hunter and Colton, and enjoys all sports activities. Tod graduated from Kalamazoo Christian High School in 1982 and received his Bachelors of Business Administration from Western Michigan University in 1987. He then entered the US Army as an officer, serving in Korea and Georgia. He graduated from Worsham College of Mortuary Science in 1994. Tod is a member of the Michigan Funeral Directors Association, Western Michigan University ROTC Alumni Association, and the Association of the United States Army. Tod lives in Kalamazoo with his wife, Reneé and their two beagles, Jooks and Toby. Lisa is a graduate of Kalamazoo Christian High School, Class of 1990. 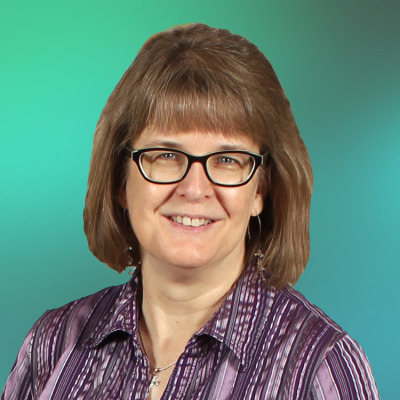 She began her career at Langeland’s in June 1990, working as the Accounting Assistant and later Office Administrator. She graduated from the Pittsburgh Institute of Mortuary Science in January 2011 and was the recipient of the Mu Sigma Alpha Award and Restorative Art Award for her class. She enjoys serving the community with her talents and gifts in funeral service. A 2014 graduate of Kalamazoo Christian High School, Tyler has since graduated from Worsham College of Mortuary Science in 2017. He lives in Kalamazoo, where he enjoys watching football and spending time with his friends. Tyler is looking forward to his career with Langeland's and serving the community. Shelby is a graduate of Mattawan High School, Class of 2013. She graduated Kalamazoo Valley Community College with an Associate's Degree in Business Administration in 2017, and graduated from Wayne State University with her Bachelor's Degree in Mortuary Science in 2018, where she was the recipient of the Restorative Art Award for her class. She feels honored with the responsibility and privilege of caring for the community through funeral service. Shelby enjoys using her musical talents and gifts by leading worship at CenterPoint Church in Kalamazoo. She loves spending time with her husband Skyler, her large family, close friends and bible study fellowship groups. She enjoys playing the piano and guitar, singing, painting, and spending time at the lake. Born and raised in the beautiful lakeshore community of Grand Haven, Michigan, Dann graduated from Grand Haven High School in 1970. 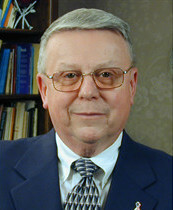 A graduate of Muskegon Community College, he moved to Kalamazoo and began working with Langeland's in 1974. He attended Western Michigan University, and was a 1977 graduate of Worsham College of Mortuary Science. Dann received his Mortuary Science License in 1977, and has worked his entire career with Langeland Family Funeral Homes. A longtime resident of Portage, he has been involved in many community organizations and events. Member and Elder of Southridge Reformed Church, a member of the Michigan Funeral Directors Association, National Funeral Directors Association and the Cremation Association of North America. He enjoys spending time at his home away from home in Grand Haven, is an avid sports fan and most of all loves working in his yard and garden. Win was born in Lansing, MI and was raised in Saginaw, MI. He graduated from Hemlock High School in 1993 and then attended Delta College. He graduated from Wayne State University School of Mortuary Science in 1999. Win has lived in Kalamazoo since 2005 and is married to Carrie Bush Swieczkowski. He has worked in funeral service his entire career and has been with Langelands since 2012. He enjoys fly fishing, long distance running and playing golf. He and his wife, Carrie, have four dogs: Miles, Ernie, Francesca and Lucky. Tod was born and raised in Sturgis, Michigan and graduated from Sturgis High School in 1981. He was also a graduate of Worsham College of Mortuary Science in 1985; and from Western Michigan University in 1998 with a Bachelors of Business Administration Degree. 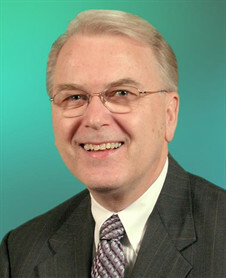 Tod has been employed with Langeland's as a Licensed Funeral Director since 1985. He is a member of the Michigan Funeral Directors Association and Western Michigan University Alumni Association. Tod lives in Kalamazoo with his wife, Wendy and daughter. Bob is a 1972 graduate of Bronson High School, Bronson, Michigan. He joined the Langeland staff after graduating from Worsham College of Mortuary Science in 1988. Member of the Portage First United Methodist Church, Michigan Funeral Directors Association, British Institute of Embalmers, and a Reserve Police Officer with the Portage Police Department. Bob lives in Portage with his wife, Cindy. They have four children and one grandson. Since the early 1990’s, they have served as a host family during the Girls Softball World Series, held in Kalamazoo. The family also includes an Old English Sheepdog, Benson. Bob enjoys bowling, W.M.U. Bronco Hockey, and N.H.L. Hockey. Born in Ft. Wayne, IN and raised in LaOtto, IN, Greg graduated from East Noble High School in 1975 and immediately joined the United States Marine Corps, retiring after 22 years of service. His wife, Windi and their children, Payton and Paxton, reside in Battle Creek. Greg also has 3 other children, Holly, Kyle and Scott who also live in Battle Creek. He attended Worsham College of Mortuary Science in Wheeling, IL where he graduated in 1999 and soon became licensed thereafter. Katie was born and raised in Portland, MI, where she graduated from St. Patrick’s High School. She then went on to attend Lansing Community College and Wayne State University, where she received her degree in Mortuary Science in 2001. Katie has been a Licensed Michigan Funeral Director since 2003. She first began her career with Langelands in 2003 to 2005 and returned again in April of 2014. Katie and her son Emmett reside in Grand Ledge. Jeremy was born and raised in Dowagiac, MI where he graduated from Dowagiac Union Schools. He then went on the attend Southwestern Michigan College and the Cincinnati College of Mortuary Science, where he received his Bachelor’s of Mortuary Science Degree. 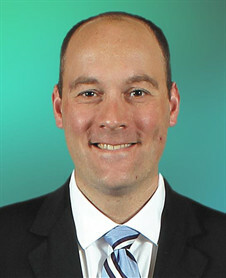 Jeremy began his career in Northeast Ohio and moved back to Southwestern Michigan to be closer to family. He is a Licensed Ohio and Michigan Funeral Director. He is honored to become an active member in the Kalamazoo community. He and his dog, Gryphon, currently reside in Kalamazoo. Kari grew up in the small city of Gobles, Michigan and graduated from Gobles High School. She attained her B.S. in Psychology from Albion College before reveiving her Bachelor's Degree in Mortuary Science from Cincinnati College of Mortuary Science. Kari has been a licensed funeral director/embalmer in Michigan since 2002. She has enjoyed working in many local communities as a freelance funeral director. Kari, her husband, and daughters live in the Gun Lake area and enjoy their time on the lake. Roger was born in Kalamazoo, raised in Portage and a graduate of Portage Central High School. In 1965, he joined our staff and has spent his entire career at Langeland Family Funeral Homes. Roger takes great pride in caring for all six of the Langeland facilities and has served as Facilities Manager for many years. His true passion are his gardening skills at all the chapels, his church, and his own home. Roger is also well known as being a vocalist (even in Dutch), providing music for many of the local churches and for some of the families we serve. His caring and hospitable nature is a true asset to his success in serving all who he comes in contact with. Roger and his wife Mary are members of Covenant United Reformed Church. Rob has been with Langeland Family Funeral Homes since 2002 as a Pre-Need Family Services Consultant. He is part of the first group in Michigan to receive certification in MAPP, Michigan Advanced Planning Professionals, which is endorsed by the Michigan Funeral Directors Association. He is a 1990 graduate of Kalamazoo Central High School. Prior to joining Langeland’s he co-owned a local, family-owned painting company for over 12 years. He is a lifelong member of Centerpoint Church (formerly Third Reformed) and he enjoys many outdoor activities, watching movies and spending time with his two children, Shelby and Dylan. He is dedicated and honored to serve the families in our community. A graduate of Kalamazoo Central and recipient of a BFA from WMU, Lynn taught art at Hackett High School for twenty years before changing her career path by joining the Langeland prearrangement team in October 2010. Lynn continues her interest in art by showing her paintings in various local venues, such as Kalamazoo art hops, the Nature Center and Bronson Hospital. Lynn enjoys spending time with her husband, Ted, daughter, Libby, and son, Joey. Favorite family events are cook-outs in the back yard with friends and extended family and various sports activities. Graduated from Comstock High School in 1963 and attended Western Michigan University. I served in the US Army during the Vietnam Conflict from 1965-1967. I began working for Langeland Funeral Homes in 2001 and prior to that was employed by an International CPA firm for 18 years and a Credit Union for 16 years. I enjoy playing the organ and play for many church services in the Kalamazoo area. My favorite hobby is lawn work and I mow my lawn 2 times a week. It is not uncommon for my wife and I to plant over 1500 annual plants a year. I live in Portage with my wife, Connie, a Registered Nurse, and we have two married daughters, Lisa and Kristen; two son-in-laws, Brian and Ryan and two grandchildren, Naomi and Levi. Graduated from Kalamazoo Christian High School and Davenport College. She has a Bachelor’s Degree in Accounting and worked in the accounting department of various companies in Kalamazoo, Battle Creek, and Bangor prior to joining the Langeland staff in November 2006. A lifetime resident of Kalamazoo, Karen enjoys walking, bicycling, bowling, reading, and spending time with her family. She is also a lifetime member of Hope Reformed Church and involved in many aspects of her church community. Born in Allegan and raised in Portage, Michigan. Anita graduated from Kalamazoo Central High School and attended Lake Michigan College, taking business courses. Having worked in the funeral home industry for over 20 years, Anita joined the Langeland Funeral Home in 2009. In 2026, she married Bryan Breisch and currently resides in Comstock. Between the two of them they have five sons: Nathan, David, Jeremy (Becca), Aaron (Jon), and Travis Haica. They also have two grandchildren, Gabriel and Mariah and love spending weekends camping in Coldwater. Breannah was born and raised in Grand Blanc, Michigan. She attended Western Michigan University where she studied Business Management and Business Administration. She started at Langeland's in 2014 as a receptionist. She enjoys doing creative projects, going to the movies, and cooking. Brea lives in Portage with her husband, Alex, and their two dogs, Lola and Josie. Dana joined Langelands in 2014. She has lived in Portage, MI since 1997. She attended Concordia University, Ann Arbor, MI; Fontbonne University, St. Louis, MO and Washington University, St. Louis, MO where she received her Masters of Social Work. Then she moved to Wisconsin and worked as a Marriage and Family Counselor for 13 years. She is married to Paul Naumann the Senior Pastor of St. Michael Lutheran Church in Portage. They have three grown children who also live in the Kalamazoo. Dana volunteers at St. Michael, as a team leader for mission trips and as a Stephen Leader. Dana enjoys spending time with her family, friends, reading and nature.